Arsenal are reportedly growing confident they can bring in Roma chief Monchi as their replacement for Sven Mislintat as head of recruitment. The Independent link the former Sevilla man with the Gunners, with manager Unai Emery said to have approved the potential appointment after working with him in the past. This would be an exciting appointment for Arsenal and could be crucial to help them move forward as they attempt to rebuild and modernise the club following the summer departure of Arsene Wenger. The Frenchman was notable for having huge amounts of control and influence at the Emirates Stadium, but in the modern era managers are increasingly referred to more often as head coaches, who are in charge of team selection and training rather than transfers. At Sevilla, Monchi worked well to deliver Emery some quality signings on the cheap, helping discover top talents like Ivan Rakitic, now a star player at Barcelona. 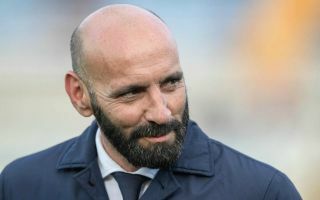 It will be intriguing to see if Arsenal can lure Monchi to north London given they tend to be one of the more frugal teams in the transfer market, but if he can work his magic in north London it might not matter too much.